A few weeks ago, I was standing in front of a group of women at the beginning of an Empowering Women Leaders workshop. Looking around the room, I was reminded of a favorite tee shirt of mine from the 90s. 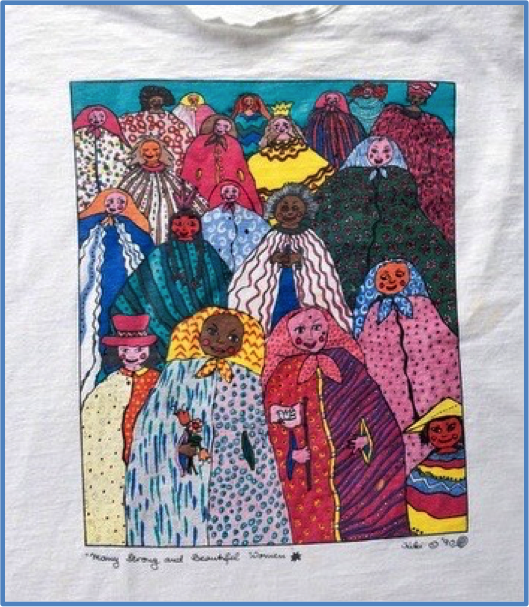 The well-worn top had a colourful image of a diverse group of women on it, with the words Many Strong and Beautiful Women underneath. 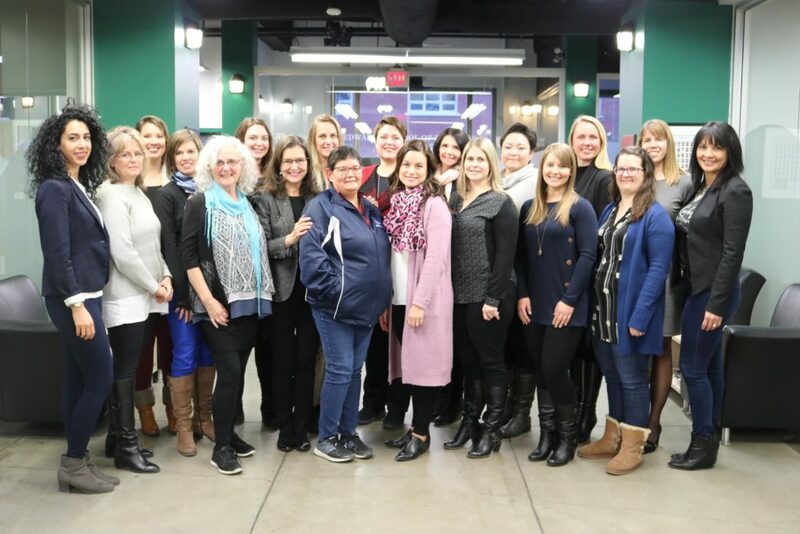 Looking around again, I knew I was in the right place and privileged to spend the next three days with the strong and beautiful women in the room, who are shaping the future of our prairie provinces and are eager to grow in all areas of their lives. This is the work that my collaborator, Lillas, and I, feel called to do, to support women, in our words ‘to live their full expression and their personal leadership best’. Putting together the framework, the content and approach for this program, did not feel like work, in fact, it was nourishing. Lillas and I spent hours on the phone – often with her in Calgary and me in Saskatoon – generating ideas and considering the best ways to meet the unique development needs of women and this group. Our co- creative approach is to clarify the learning goals, develop a framework and then toss out ideas, many many ideas, about how to meet learning goals. Then we ‘sit with’ this material for awhile, do more research, dig into our files of activities, enjoy doing a bit more research (we can’t help ourselves), then come back together for the next discussion and refinement. Front and centre always, is considering how we can create a space where participants can do their best learning, where they feel free to be themselves, confront their fears and have meaningful conversations, and ideally, have breakthroughs. We have long referred to this latter piece as creating an atmosphere of trust and respect. After this preparation, our next job is to ‘show up’, be as present as possible, regardless of how tired, ill, or distracted with personal issues we may be, which is just the situation for each woman in the room. We don’t tire of this contribution; we know this is where we are meant to be: in a room with many strong and beautiful women. We’d love to have you as part of our community. You can sign up for our WILL Newsletter to get inspiring articles, news about workshops and events, and a copy of our ebook, “13 Practices for Brilliant Women: A guide for transforming intentions into action.” We hope you’ll follow us on Facebook to see what is going on in the Women in Leadership for Life world.